During Thanksgiving, we sit down at the dinner table, enjoy the company of friends and family, and remember why we are thankful. Unlike the past, we live in a time with abundant food and shelter. 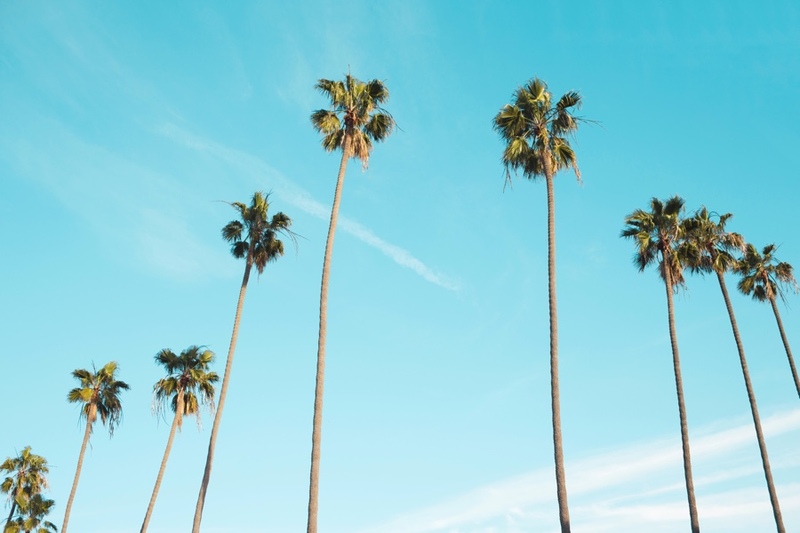 So before we get too far into our holiday shopping frenzy, we want to take a second to reflect on where we are today here at TRED and talk about a few things we’re thankful for. We set out six years ago to revolutionize the way people can do business together when it comes to buying and selling cars. In the past, most people either had to go a dealership or learn how to buy or sell on the private market. Of course, this led often led to higher prices for buyers, confusion, and a lot of learning from mistakes. At its worst, people could make mistakes which could cost them thousands of dollars. Now, six years later, we have expanded our peer to peer vehicle marketplace (with built-in safety nets) to LA. Look how far we’ve come! No company in this world can thrive without a great team. And without our team, many of our customers would be left without a choice when it comes to buying and selling their cars. We want to thank you all for your hard work and perseverance. A huge shout out to every person who has helped move TRED forward. Thank you! As a company that has broken new ground in the used car industry, we could not be more thankful for our customers. You guys are the ones who believe in a better way to buy and sell cars. Instead of retreating to the way things have always been done, you have stuck your necks out to try a newer type of service. It can be scary to trust selling or buying a car to a website or an app. We have tried very hard to be forthright with our customers and open about what we do and how we do it. So thank you for putting your trust in us. We hope you enjoy the protections and prices we provide. Driving safety is of the utmost importance. We here at TRED are thankful for anything that keeps people (and their cars) safe on the road. In 2015, 3,477 people were killed due to accidents involving distracted drivers. On top of this staggering number, upwards to 391,000 people were injured, as well. Now, Apple is introducing a new feature in iOS 11. 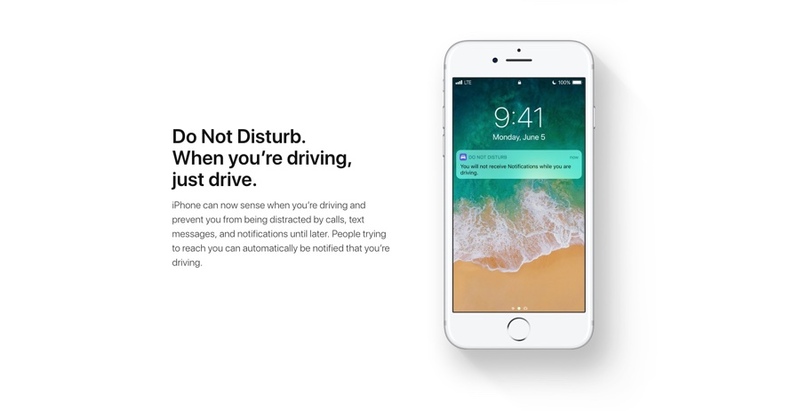 There will be a feature that automatically enables itself so drivers cannot receive notifications or calls when they are driving. As well, this feature will know if you are a passenger. Finally, shotgun gets to pick the music! Sustainability is becoming an increasingly important topic. More and more solar companies are popping up. Companies are building battery packs to store energy for residential homes. And now there is a frenzy of electric and hybrid cars on the road. Who do we have to thank for this boom in electric cars? There are certainly a lot of factors, but a large part of this boom is due to the Tesla Roadster. It is the first highway legal, serial, all-electric car that uses lithium-ion battery cells. It is also the first electric car that has a range of 200 miles per charge. 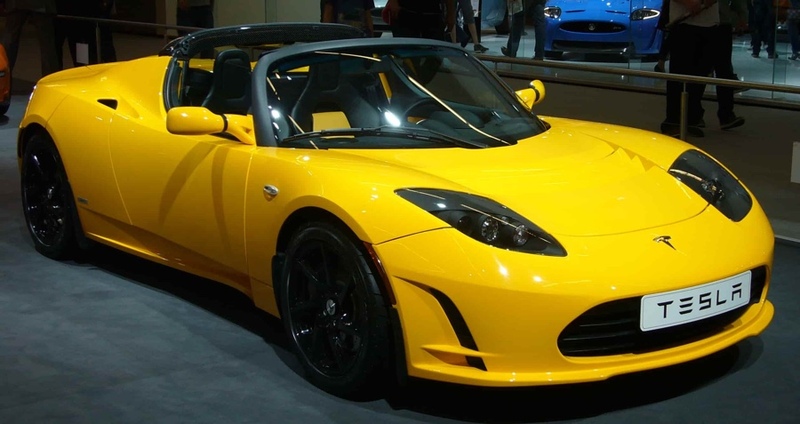 The Tesla Roadster showed that electric cars were a viable option, and it has led to more competition among manufacturers which is improving and popularizing electric vehicles. 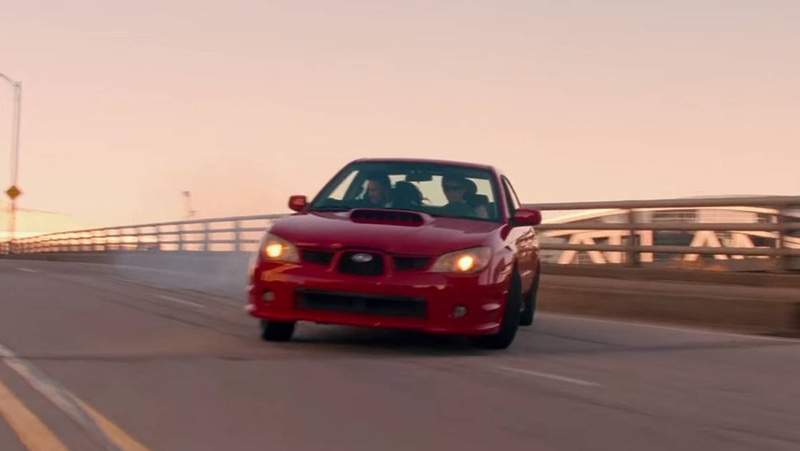 Let’s be honest… there have not been many good car-centric movies since the golden age of The Fast and the Furious (RIP Paul Walker). Here at TRED, we’re thankful that, with the release of Baby Driver, it seems times are changing. It’s a movie with fluid, hot car chases which GO, GO, and GO. Then, every once in awhile, you sit down for a breather and contemplate why we are driving and why we are criminals. Then, moments later, you are running from cops, fighting criminal deceit, and following a lovely story of a gifted but hampered young man and his findings of young love. Go see it, it is worth every second. We could not exist without the Internet. Strangely, I guess we have to be thankful for the Cold War. If America and Russia hadn’t been pointing missiles at each other, scientists would never have tried to figure out how to prevent just one missile from taking out the entire country’s communications. So they set forth to create a decentralized system that not only could withstand a nuclear attack, but made it possible for people with computers all over the world to connect and communicate with each other. After many decades of development, not only can we contact someone on the other side of the world instantly, but we have libraries of information at our fingertips. And, of course, you can buy or sell a car (or just about anything else)! Maybe TRED would help users trade fancy metallic wagons if the car had never been invented. But luckily, we get to help our users safely buy and sell cars from their peers (rather than through dealerships or private transactions with few protections). So let’s be thankful for all of the engineers who figured out how to make horsepower without the horse and for the people who thought sticking an engine on a carriage sounded like a great idea. 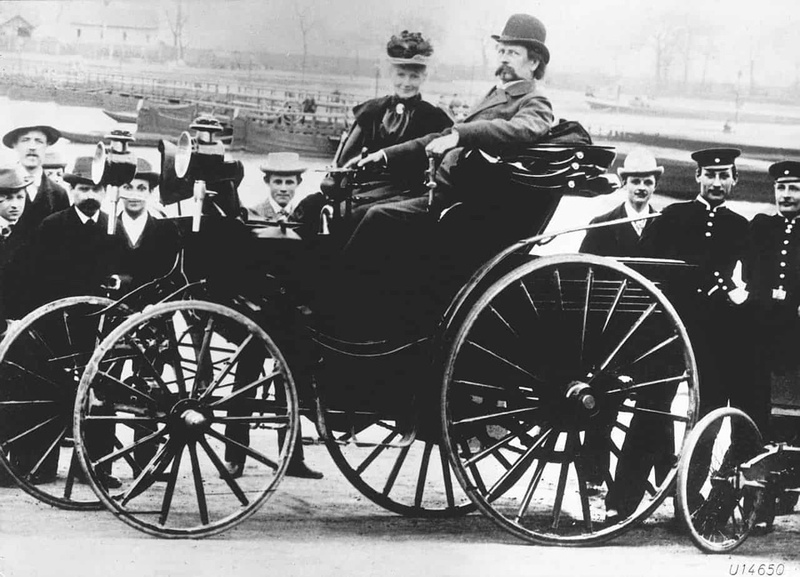 It was a long process that finally reached a pinnacle when Karl Benz (becoming Mercedes-Benz) ventured into gasoline-powered carriages. Not long after, Henry Ford developed the Model T in 1908, the mass production of which set the market towards the gas-powered cars that are still primarily in use today. We hope everyone had a great Thanksgiving and stuffed yourselves with delicious food! Now that we have reflected and found what we are thankful for, it is time to move into the Christmas holidays. It will be a time of joy and cheer. And hey, maybe you need to reward yourself for all your hard work. We just want to let you know that there is no better reward for your time and effort than a trustworthy, hard-working vehicle. Don’t you think? Be apart of our year next year by buying or selling a car with TRED!